Having just come back from Bombay recently, I was really craving some good Indian food. 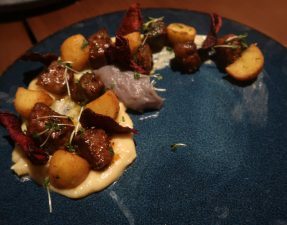 I did have the pleasure of visiting Indian Accent a few weeks ago to bring in my 26th birthday (ew), but we left feeling slightly underwhelmed as the food had more of a modern approach to the traditional cuisine. 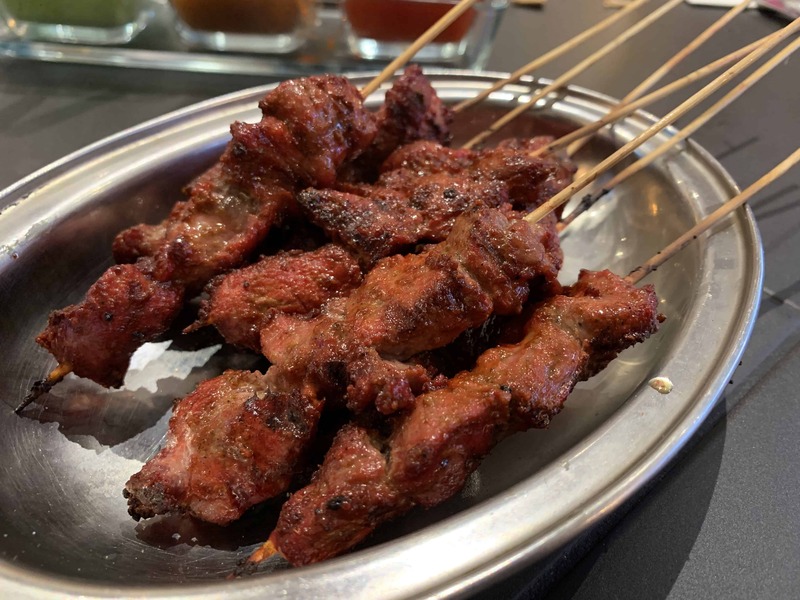 Still itching to satisfy that Indian craving, I decided to finally make a visit to Bombay Bustle, a fairly new restaurant belonging to my lovely friend, Rohit Ghai. Yes, his name has been everywhere. 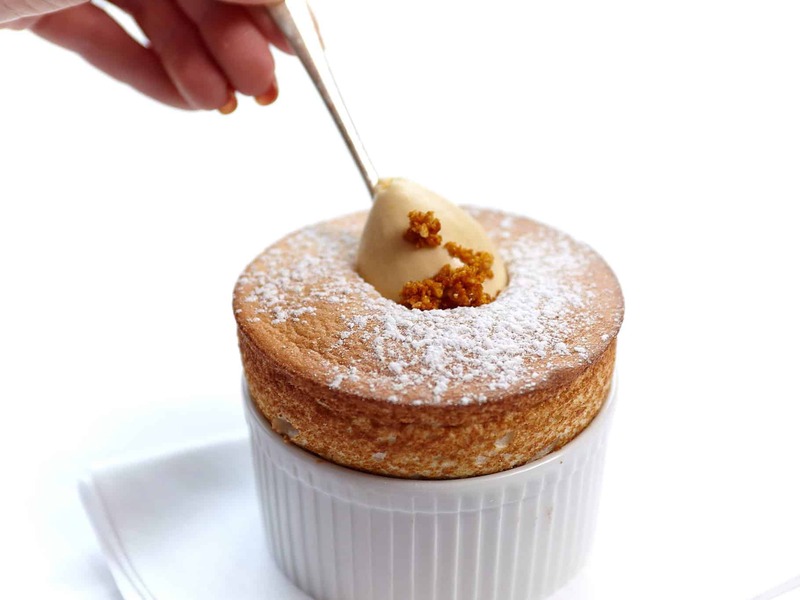 He first started at Benares, and then went on to run the kitchens of Trishna and Gymkhana, all three boasting a Michelin star, before progressing on to the fantastic Jamavar , which was also recently awarded a Michelin star. 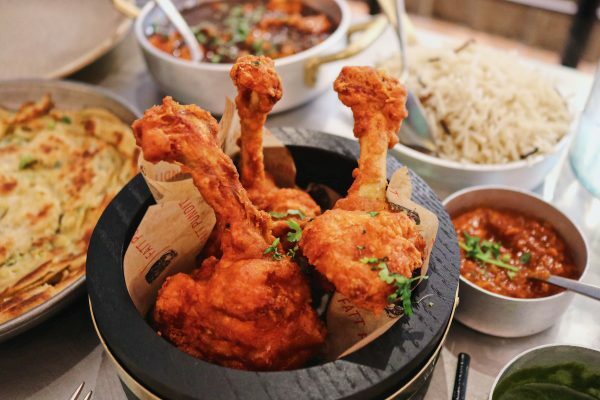 Rohit’s most recent venture, Bombay Bustle, has already garnered a lot of attention in London’s food scene and I was fortunate enough to catch up with him there, just in time as he’ll be sadly leaving the company towards the end of the month. He will be announcing his next adventure in February and I will most certainly be eagerly awaiting. Well, let’s hope Bombay Bustle maintains it’s high standards after he leaves. Now, onto the food! A generous portion of kid goat keema served with two tiny buttery paos and chopped onions and chillies on the side. 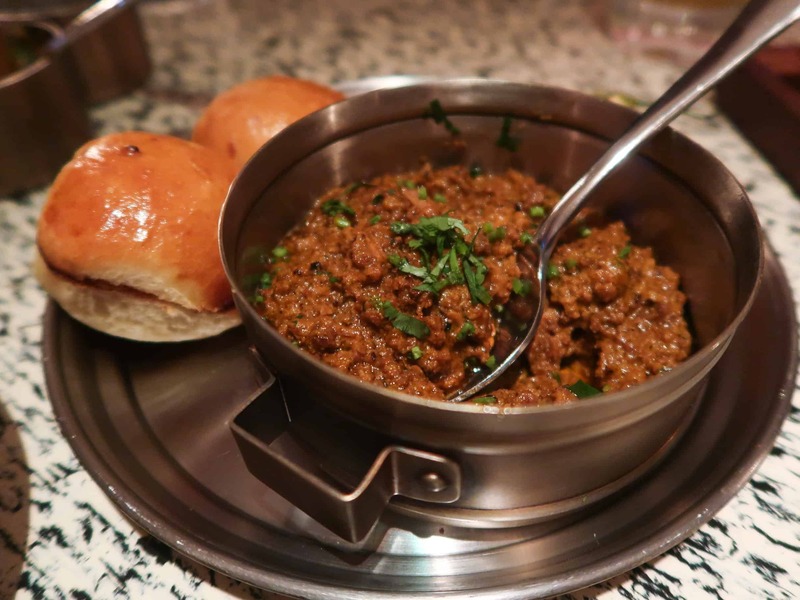 The use of goat made the keema lighter and more tender, and combined well with the heavy spices used. Two Punjabi vegetable samosas that had been topped with yogurt, green mint chutney, imli, and crunchy sev. 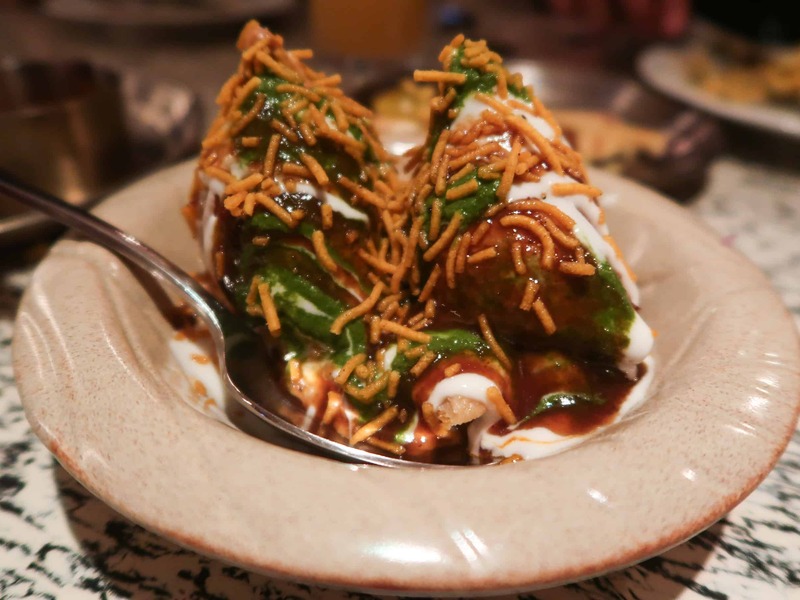 From the textural contrasts of the crispy sev and creamy yoghurt, to the flavours of the sweet imli and refreshing mint sauce, the papdi chaat was an overall well-balanced and super tasty dish. 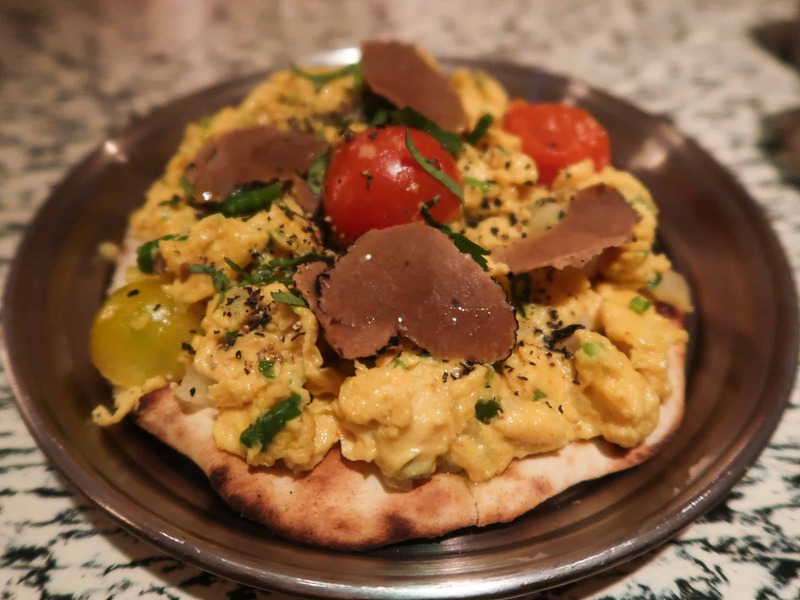 A buttery naan that had been topped with spicy masala scrambled eggs and shavings of truffle. 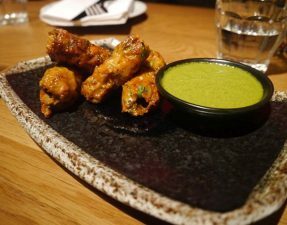 Although the akuri slightly deviated from the traditional version, I still enjoyed the occasional bite from the green chilli as well as the pungency of the truffle. 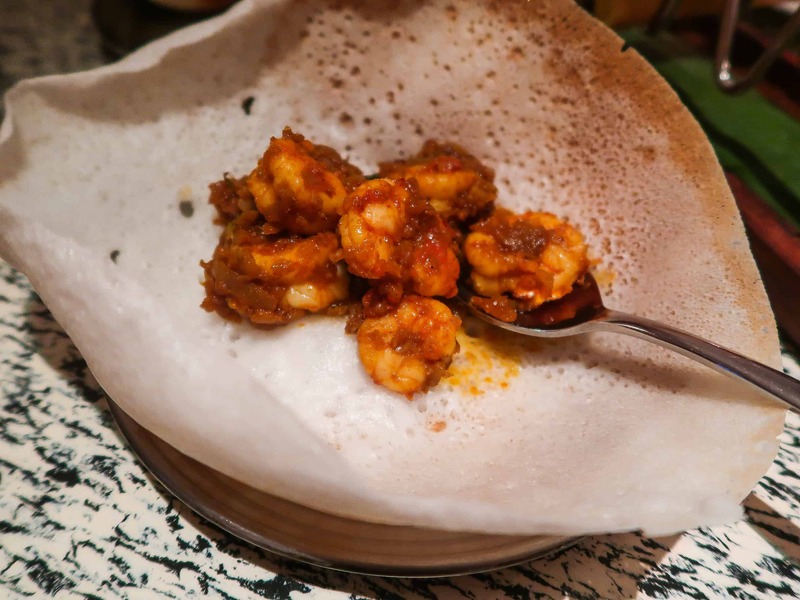 Juicy, plump prawns that were tossed in a light and aromatic garlic and turmeric sauce, and served in a slight crisp hopper. I would have liked more of a spice kick from the prawns as I felt the flavour was a little to subtle for me. 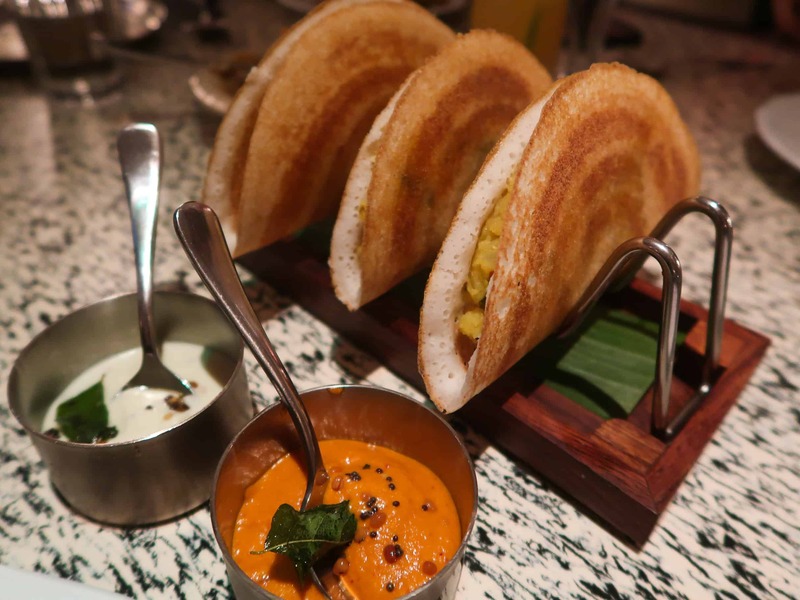 Three miniature dosas stuffed with fluffy aloo (potatoes) and served with coconut and tomato based chutneys. I like my dosas to be soft with a slight crisp on the outside, and Bombay Bustle’s was spot on. Mind you, this is an extremely heavy starter, especially if you’re in a small group (3 people or less), so order with caution! 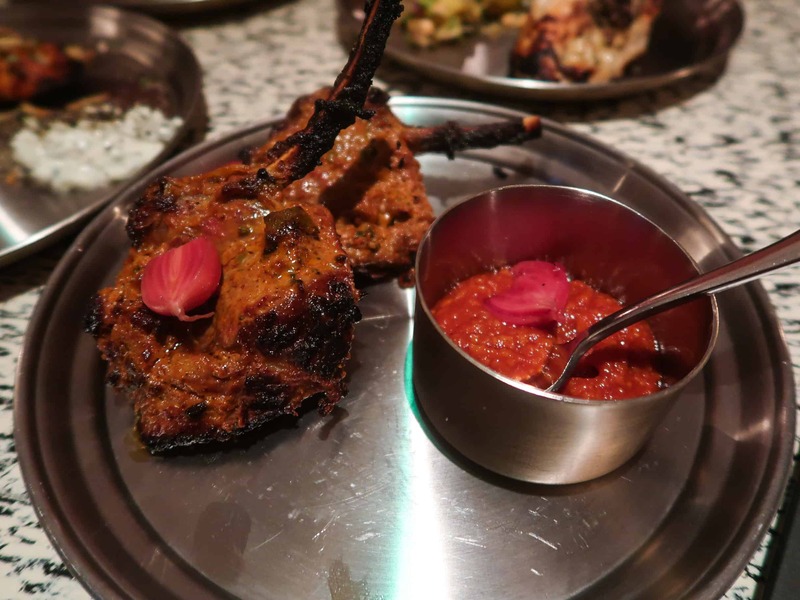 Two fat Hampshire lamb chops that had been smothered in a pickled marinade, before being placed in the tandoor to achieve that smokiness and finished off with a cute little pickled onion. I did expect the chops to be cooked a little more under than well-done, but the meat was still soft and juicy. On our first visit, the whole table loved these so much, we ordered another 5 portions! 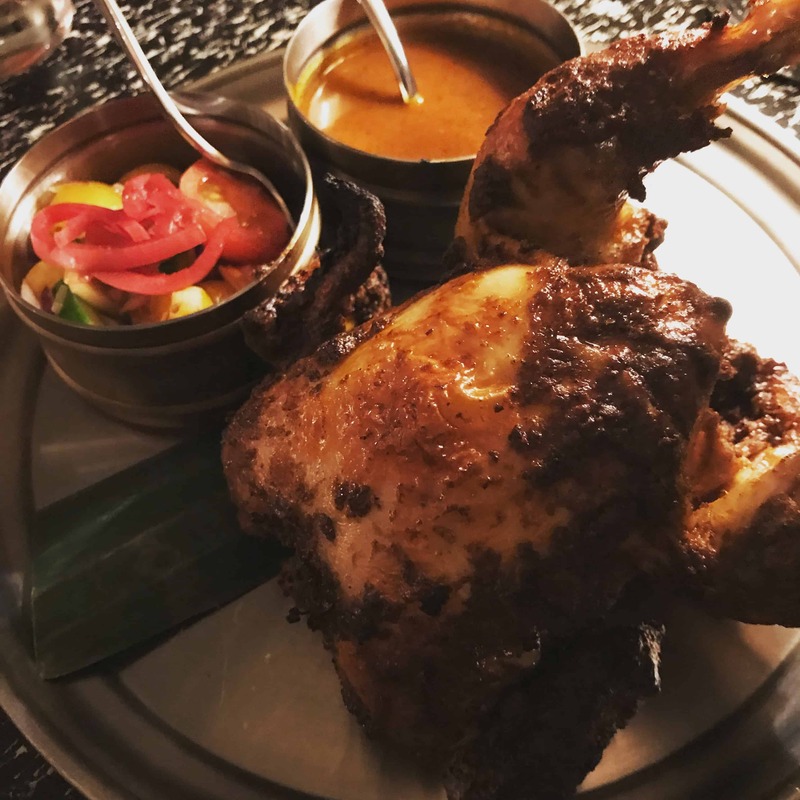 A whole roast chicken that had been lightly glazed with all of the traditional Kolhapuri spices and cooked on a rotisserie. This is the dish we had been looking forward to all evening after having heard rave reviews, but whilst it was good, we were a little underwhelmed. 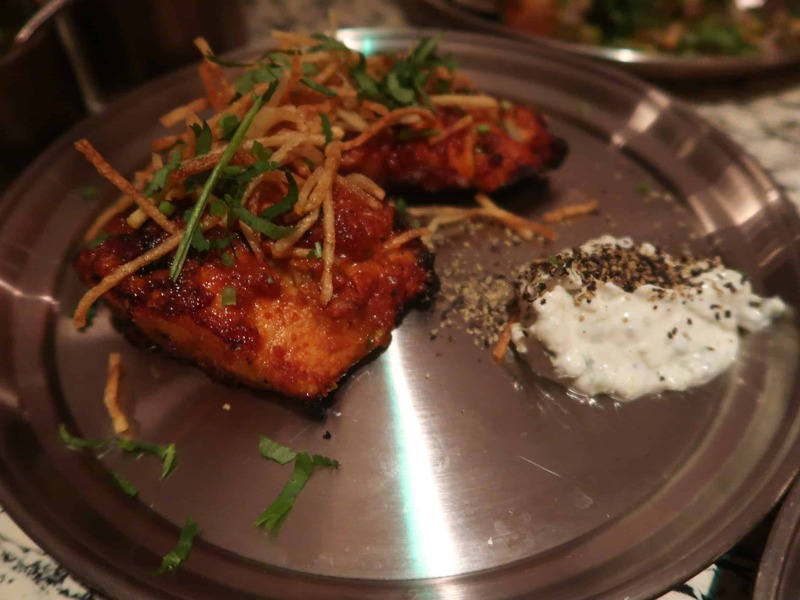 Chicken breast on the bone that had been seasoned with mace, cheese, green cardamom and black pepper. The taste is not as strong as your traditional red tandoori chicken, but I really enjoyed the subtle and light flavours coming through. The fish tikka was exceptionally good; cooked perfectly without becoming too dry, as well as the marinade adding a burst of spice in each bite. 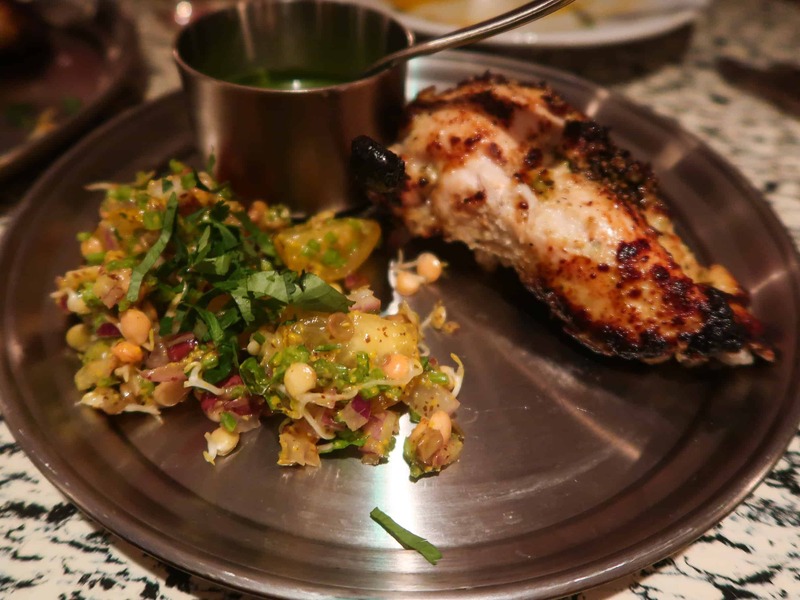 A good dish but paled in comparison to Rohit’s stone bass tikka from Jamavar which is out-of-this-world good. At this point, both MIL and FIL had given up a while back, and it was just down to BW and myself to finish off the food. Well, we were stuffed and unfortunately had to cancel our mains, as well as passing on dessert (I know, shock horror). Luckily, the menu is varied enough so that it warrants not a second return, but a third and fourth too. The total bill for 4 people, including drinks and service, amounted to approximately £140 so £35 per person. Considering the amount of food we ordered (which, as usual, was way too much) and the prime Mayfair location, the price point was acceptable and I had expected it to cost more, a lot more. The food was exceptionally good and the casual, yet buzzing, atmosphere would have me returning in an instant. For Bombay Bustle website, please click here. 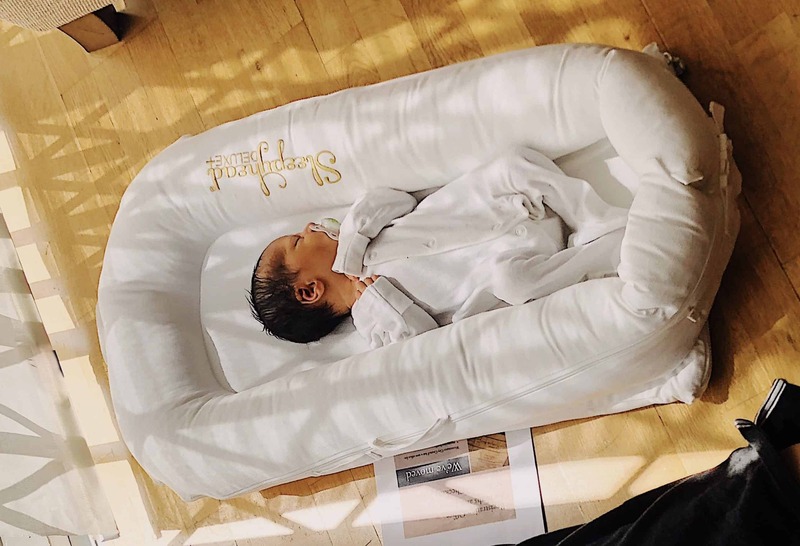 – Halal status on the beef, lamb, chicken, and goat has been confirmed by the chef. – No pork but alcohol is present on the premises. 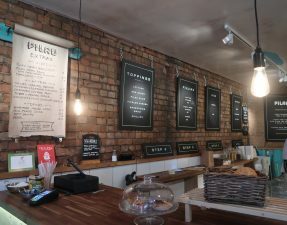 – Gluten free friendly dishes are available.